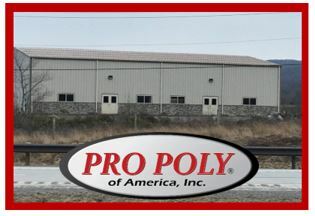 New Plant to open in Davis, WV – Pro Poly of America, Inc.
We are excited to announce the opening of our new plant in Davis, West Virginia. We are currently hiring for all positions, offering a clean working environment and four 10-hour days. Contact Tim at: tim@propolyamerica.com for more information on the positions available.